Resources giant Santos plans to sink 850 gas wells. The approval process is underway. What happens next is anyone's guess. What, as a society, do we value more? Forests or fuel? Agriculture or energy? Fresh water or fracking? Beauty or balance sheets? And are these things mutually exclusive, or can we maybe have it all? These questions are all about to play out in Australia's largest inland native forest, the Pilliga, in northern New South Wales. The Pilliga is not what you'd call a pretty forest. It has neither the lushness of the Daintree, nor the towering grandeur of West Australia's Karri forests or Victoria's mountain ash. In truth it's more like scrub -- a patchwork of scraggly ironbark, thin-stemmed eucalypts and a plain native pine called cypress pine. The Pilliga's creekbeds are sandy and its roads throw up a powdery dust that turns everything Donald Trump orange. Its emus, koalas and glossy black cockatoos are elusive. There are few lookouts or landmarks of note. The rest areas beside the Newell Highway -- the main road from Brisbane to Melbourne which barrels right through the heart of it -- are devoid of picnickers. It takes about two hours to drive from Sydney to Newcastle. That gives you a good indication of the vast scale of The Pilliga -- which is the large area of forest to the south of Narrabri. The Pilliga is a place few people go to see, and which most people are in a hurry to get through. But the Pilliga is vast and quiet. And when you spend two days driving its rutted tracks, you come to understand that its unrelenting, undulating featurelessness is its very charm. Prime Minister Malcolm Turnbull shifted the national focus to The Pilliga in the last week of September, when he announced that Australia's gas supply crisis was "three times worse than thought". "We encourage the New South Wales government to approve the development of the Narrabri Gas Project," the PM said. "The sooner that is brought online, the better." The Narrabri Gas Project is an ambitious plan to drill 850 wells tapping underground natural gas reserves, which resources giant Santos said would be tapped for the domestic market. But in a sense, the project's name is a misnomer. The "Narrabri Gas Project" brings to mind the town of 7,600 people on the Namoi River, which as the project's administrative base, would likely enjoy a temporary economic upswing. Indeed, Santos already employs 20-30 people at shopfronts in the area. The Narrabri gas Project should arguably be called The Pilliga Gas Project, because the vast bulk of the 850 wells would be sunk in the Pilliga forest just south of Narrabri -- which consists of a mix of state forest, nature reserve, state conservation area, national park and freehold land. Whatever you call it, this project -- which is currently in the planning approval phase -- would change the face of the Pilliga. And as the NSW government makes its decision, a fight is bubbling away not just over the forest itself, but over the forest's water resources, which some claim would be degraded. The Pilliga is a recharge zone for the Great Artesian Basin -- Australia's vast, inland underground water resource without which so much of our agriculture would be unviable. Being a recharge zone means it's one of the few areas which provide significant new water to replenish the basin. Farmers in areas bordering the Pilliga rely on bore water from the Great Artesian Basin. Their soils are rich but their rainfall is scant. They fear that a project of this scale will destroy the subterranean water pressure and dry up their bores. They also fear groundwater in the forest itself could be tainted. Santos says there are numerous studies conducted by eminent scientists which have found that coal seam gas can be safely produced without harmful effects on ground or surface water. It cites Ex-CSIRO water expert Dr Richard Creswell, who said farmers' water would "not be impacted by any of the drilling that goes through the Great Artesian Basin to get to the gas". But RMIT's Dr Matthew Currell -- who has been called up as part of the approval process to help assess the submissions -- told HuffPost Australia that "I think there's genuine concern about the protection of surface water systems and also groundwater-dependent ecosystems in the area". The Pilliga is situated at the area of shaded blue that dips down into NSW. The water wars are also being fought over the groundwater in the forest itself. The disputed point is whether the mix of chemicals involved in unconventional gas drilling will leave a toxic mess. Santos directed HuffPost Australia to the 2014 study by the NSW Chief Scientist and Engineer, which concluded that with appropriate safeguards and controls, natural gas can be safely extracted from coal seams. Richard Creswell said there are "at least three levels of protection" in the gas drilling process. But RMIT's Matthew Currell said "there's no reason why any land holder that lives in vicinity of coal seam gas wells or waste water storage ponds could not have their water quality affected". For now, we have a stand-off. Water versus gas. The Pilliga versus what many people see as the pillagers. With the NSW Department of Planning approval process underway, it's highly unusual that the Prime Minister would overstep the boundaries of his authority, and urge the NSW state government to get cracking with the project. "The NSW Government is assessing the Narrabri Gas Project proposal under clear planning legislation and policies. We have also established a panel of four independent scientific experts to advise on the potential water-related impacts. In addition, other government agencies such as the NSW Environment Protection Authority and NSW Crown Lands and Water are also providing advice. We consider all applications under the same rules to carefully assess any potential environmental, social, or economic impacts or benefits. We also closely consider community feedback... There is no set timeframe for determination." There is much for the Department to assess. 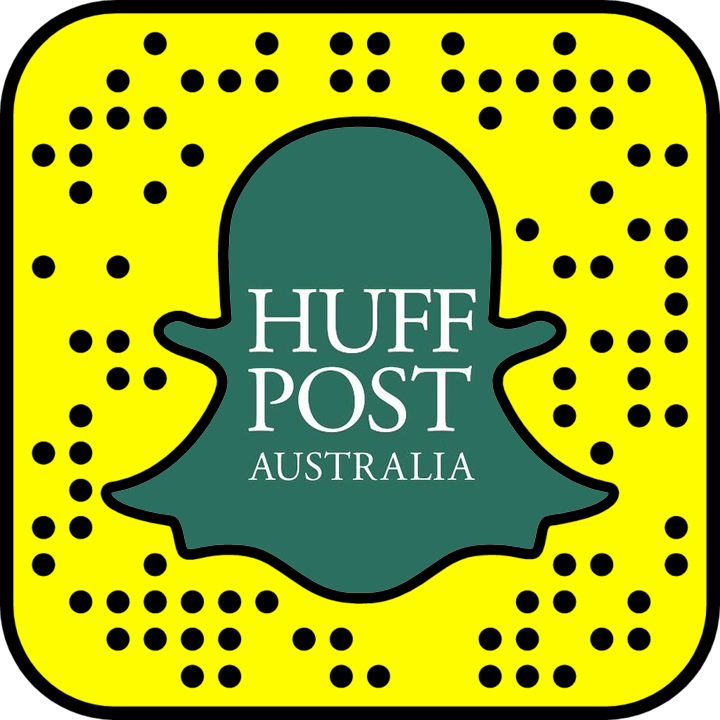 As HuffPost Australia reported in June when submissions closed, a record number of 23,000 submissions were received in response to resources giant Santos's proposal. Of these, just 300 were in favour. While many of the submissions opposed to the project are form letters, it's our understanding that at least 5,000 are carefully researched, informed statements of genuine concern. No person has articulated her concerns with more passion than Anne Kennedy, a farmer from Coonamble, west of the Pilliga, who relies on Great Artesian Basin bore water. "What you are doing is pitting fuel versus food. Which industry will still be necessary in 20 years? If you want to drink clean water and eat clean food, then this is your problem," Kennedy told HuffPost Australia. Santos pointed us to a study which showed that "the collective impacts of coal mining and coal seam gas extraction can be effectively managed without negatively impacting agricultural water use across the region". Pilliga-based ecologist David Paull, who has worked as an environment officer for both state and local governments, is unconvinced. "I think the fact that there's a record-breaking number of submissions for this project than is a fairly good sign that it's not well received by the community. Certainly in the local region outside Narrabri area itself there's no support for it," he said. Paull called Environmental Impact Statement for the Narrabri Gas Project "appalling". Santos said the environmental assessment process was "rigorous". "Santos has the track record and expertise required to safely and sustainably develop the Narrabri Project and deliver reliable, affordable, clean natural gas to NSW for many years to come," a spokesman said. It's likely that the decision on this project will be made in the first half of 2018. Expect passions to run high whichever way the dice rolls. The Pilliga does not have the emotional tug of some better-known iconic Australian landscapes like the Reef or the Tasmanian wilderness, but to locals, this great, largely uncelebrated Australian forest is everything. "I'm just an old chook, a broken down farmer," Anne Kennedy said with unconvincing self-deprecation. Then her feisty self returned. "There will be massive civil disobedience if they approve it. We're not going to give up without a fight."